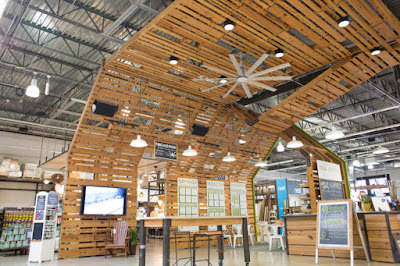 A new kind of home improvement store in Austin is setting out to transform one of the biggest industries in the US, by selling only sustainable home improvement products. According to Fast Company’s recent feature on the store, Treehouse, it’s not only the retail that is different from your typical Home Depot or Lowes, it’s also the experience. The commercial building industry has made great strides in the green space with strong adoption of the LEED Certification program, though the residential industry has a more difficult time due to the fragmented nature of the industry. After studying conservation biology at Texas A&M before working in sustainable construction in Colorado, Ballard saw the immense need for a store like Treehouse to help transform homes into more sustainably conscious structures. 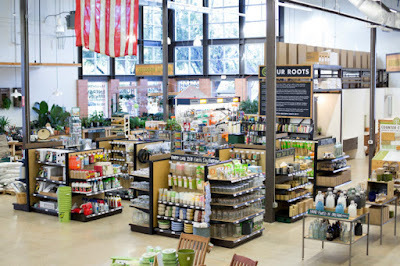 The store fittingly resembles more of a more naturally lit greenhouse rather than a florescent bulb buzzing warehouse, and functions to cut as much energy costs as possible. Founder of Treehouse, Jason Ballard, has also set out to completely transform the customer’s buying experience for more long term home solutions. If a customer comes in to replace an air conditioning system for example, a team of specialists might also walk the homeowner through how insulating the attic and sealing the ducts within the home might be a better long term solution for cutting the energy costs of the constant need of AC. As the team at Fast Company put it, it’s less of a “do-it-yourself” and more of a “let’s-do-it-together” kind of vibe. The goal of the team at Treehouse is to effectively touch every home in the United States within the next 20 years. Since being founded in 2011, Treehouse has received over $17 million in investments, most recently led by Container Store founder Garrett Boone and GameStop founder Gary Kusin. Treehouse is currently expanding with two new stores in Texas – one in Dallas and the other in an undisclosed location. The new store in Dallas claims to be the country’s first net-zero energy commercial building. The concrete walls were poured on site and tilted into place, and the sawtooth roof allows for more sunlight to fill the store and provides a greater surface for solar panels. A nationwide plan is currently in the works, but for the meantime, those of us not in Texas can look forward to a diverse online store of eco-friendly smart home tech products and healthy home products. Can you all imagine if more home improvement stores were like this? To learn more read the full Fast Company report here.